GRAUZONE is a Swiss band of the early 1980s from Bern. The group was one of the pioneers of the German New Wave called ‘Neue Deutsche Welle’ (NDW). With their biggest hit ‘Polar Bear’ (Eisbär) GRAUZONE entered the Austrian and German charts. In late 1979 Marco Repetto (drums) and G.T. 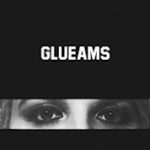 (bass) left the punk band GLUEAMS to find, together with Martin Eicher (guitar, vocals), a new musical way. Martin had already supported GLUEAMS on their single ‘mental’. In early March 1980 they gave their first concert as GRAUZONE at the club Spex in Berne. Martin’s brother Stephan Eicher (guitar) and Claudine Chirac (saxophone) complemented the group temporarily at concerts and recording-sessions. 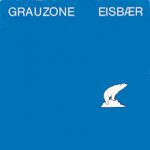 Widely known became GRAUZONE with the two songs ‘Eisbär’ und ‘Raum’, which they recorded in 1980 for the LP ‘Swiss Wave – The Album’. ‘Eisbär’ hit the attitude to life of that time and got radio airplay in Austria, Germany and Switzerland. The song was released as a single and reached number 6 in the Austrian and number 12 in the German charts. ut the group refused the commercial requirements and concentrated on studio work. In the winter 1980 they returned to the Sunrise studios and recorded the songs ‘Moskau’, ‘Tanz’ und ‘Ich lieb sie’. 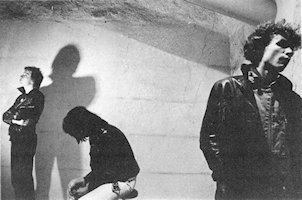 In July and August 1981 Martin and Stephan Eicher went again with Marco Repetto to the Sunrise studios and recorded their first and last album. 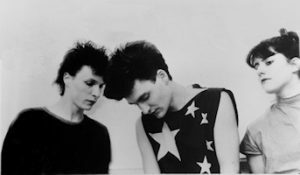 In early 1982, after the departure of Marco, Martin and Stephan began with the work for the video ‘Film 2’. During the same period Ingrid Berney joined GRAUZONE to assist Martin and Stephan Eicher live. According to a recent studio session in which ‘Ich und Du’ was recorded, the musicians went their individual ways. After just ten concerts, four singles and one album the group broke up in 1982. G.T. and Marco Repetto regrouped with former GLUEAMS guitarist Martin Pavlinec and the drummer Dominique Uldry, first as a MISSING LINK, then under the name EIGERNORDWAND. Then G.T. moved on to the Futurism influenced action group RED CATHOLIC ORTHODOX JEWISH CHORUS of the performance artist Edy Marconi. Marco Repetto played temporarily also with the group, which they later named I SUONATORI. Stephan Eicher started a successful solo career and Martin Eicher published 1988 the EP ‘Spellbound Lovers’. Marco Repetto started 1989 a new musical career in the techno and ambient scene as DJ and musician (bigeneric), including remixes for mittageisen v2. A comprehensive insight into the musical work of GRAUZONE offers the double CD ‘GRAUZONE 1980-1982 REMASTERED’, with 21 (including 3 previously unreleased) digital remastered tracks and a comprehensive booklet.